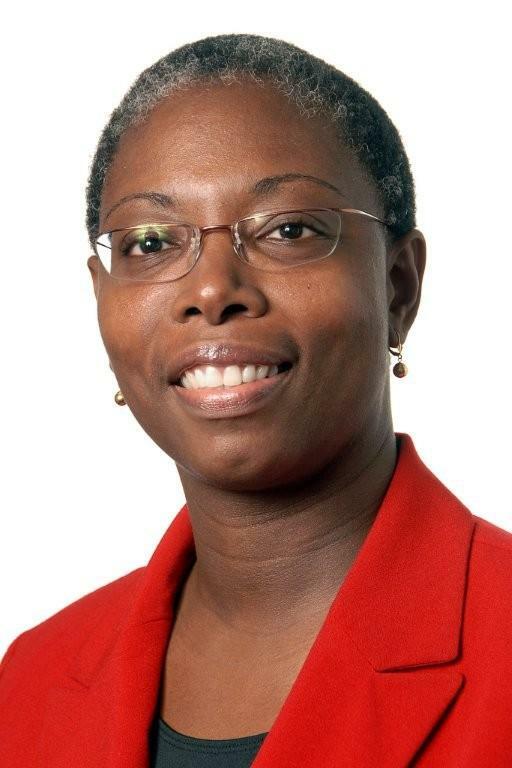 The National Blackwell-Tapia Committee is pleased to announce that the 2014 Blackwell-Tapia Prize will be awarded to Jacqueline M. Hughes-Oliver, Professor of Statistics, North Carolina State University (visiting George Mason University until May 2014). The prize is awarded every other year in honor of the legacy of David H. Blackwell and Richard A. Tapia, two distinguished mathematical scientists who have been inspirations to more than a generation of African American, Latino/Latina, and Native American students and professionals in the mathematical sciences. Hughes-Oliver has made important contributions in a number of statistical research areas including methodological research on prediction and classification, variable and model selection with dimension reduction, design of experiments, and spatial modeling. She has worked passionately on the cause of increasing diversity of individuals working of the statistical and mathematical sciences. The prize will be presented at the Eighth Blackwell-Tapia Conference, held at IPAM on November 14-15, 2014. The National Blackwell-Tapia Committee is pleased to announce that the 2014 Blackwell-Tapia Prize will be awarded to Jacqueline M. Hughes-Oliver, Professor of Statistics, North Carolina State University (visiting George Mason University until May 2014). This prize is awarded every other year in honor of the legacy of David H. Blackwell and Richard A. Tapia, two distinguished mathematical scientists who have been inspirations to more than a generation of African American, Latino/Latina, and Native American students and professionals in the mathematical sciences. It recognizes a mathematical scientist who has contributed and continues to contribute significantly to research in his or her field of expertise, and has served as a role model for mathematical scientists and students from under-represented minority groups or contributed in other significant ways to addressing the problem of the under-representation of minorities in mathematics. Professor Hughes-Oliver has made important contributions in a number of statistical research areas including methodological research on prediction and classification, variable and model selection with dimension reduction, design of experiments, and spatial modeling. Application areas of her research include drug discovery, environmental modeling, transportation modeling, engineering manufacturing, genomics, and metabolomics. In collaboration with scientists at GlaxoSmithKline, she modeled structure-activity relationships for identifying active compounds from which new pharmaceuticals can be created. Part of this work was during her tenure as Director of the Exploratory Center for Cheminformatics Research, 2005-2009. She also directed an extensive collaborative project with engineers at the North Carolina Department of Transportation (NCDOT) to model, edit, and validate data on traffic counts. Hughes-Oliver’s research has been supported by grants from the National Science Foundation (NSF), NCDOT, and the National Institutes of Health, as well as by funding from GlaxoSmithKline and Merck. Hughes-Oliver has worked passionately to increase diversity in the mathematical sciences at all levels. As assistant professor at North Carolina State University (NCSU), she participated in a high school pre-college program to encourage minority students to study mathematical sciences in college. With Dr. Sastry Pantula, she began a Diversity Initiative aimed at informing, empowering, and encouraging undergraduates to pursue graduate education in the mathematical sciences. As part of this effort, NCSU hosted StatFest, a conference that introduced undergraduate students from minority-serving institutions to opportunities in statistics, with Hughes-Oliver as chair. As Director of Graduate Programs for the Department of Statistics at NCSU from 2007 to 2010, Hughes-Oliver expanded the recruitment, retention, and mentoring of minority students. The department was recognized for these efforts by receiving the 2009 AMS Programs That Make a Difference Award. Hughes-Oliver served for five years on the Committee on Minorities in Statistics of the American Statistical Association, and her efforts produced the first Online Directory of Minority Statisticians. She has been keynote speaker at numerous conferences that address diversity. The prize will be presented at the Eighth Blackwell-Tapia Conference, to be hosted by the Institute for Pure and Applied Mathematics (IPAM) at UCLA on November 14-15, 2014. The conference will offer a mix of activities including scientific talks, poster presentations, panel discussions, and ample opportunities for discussion and interaction. Participants will represent institutions of all sizes across the country. The National Blackwell-Tapia Committee selected the Prize recipient. The co-chairs include the 2010 and 2012 recipients of the Prize: Trachette Jackson, Professor of Mathematics and head of the Jackson Cancer Modeling Group at the University of Michigan; and Ricardo Cortez, Pendergraft William Larkin Duren Professor of Mathematics at Tulane University. Other voting members of the selection committee are Russel Caflisch, Professor of Mathematics at UCLA and Director of IPAM; Carlos Castillo-Chavez, Regents Professor and Joaquin Bustoz Jr. Professor of Mathematical Biology at Arizona State University and Director of the Mathematical and Theoretical Biology Institute; and David Eisenbud, Professor of Mathematics at UC Berkeley and Director of the Mathematical Sciences Research Institute (MSRI). There are also four ex officio members: Minerva Cordero, Associate Dean for Academic Affairs and Distinguished Teaching Professor of Mathematics at the University of Texas Arlington, and Chair of the MSRI Human Resources Advisory Committee; Stacey Beggs, Assistant Director of IPAM; Sherry Woodley, Associate Director, Mathematical, Computational and Modeling Sciences Center, Arizona State University; and Robert Megginson, Arthur F. Thurnau Professor and Professor of Mathematics at the University of Michigan. The idea for a conference honoring David Blackwell and Richard Tapia came from Carlos-Castillo Chavez, who was a member of MSRI’s Human Resources Advisory Committee (HRAC) and a professor of mathematics at Cornell University at the time. He secured funding from Cornell for the first Blackwell-Tapia Conference in 2000. Starting in 2002, the NSF Mathematical Sciences Institutes have served as conference sponsors and hosts. Subsequent conferences were held at MSRI (2002), IPAM (2004), the Institute for Mathematics and its Applications (2006), the Statistical and Applied Mathematical Sciences Institute (2008), the Mathematical Biosciences Institute (2010), and the Institute for Computational and Experimental Research in Mathematics (2012). The Blackwell-Tapia Prize was offered for the first time in 2002, at the suggestion of MSRI Director David Eisenbud. The recipients of the Blackwell-Tapia Prize exemplify the high standards of research and service to under-represented minority communities recognized by this award. Past prize recipients include Arlie Petters, Benjamin Powell Professor of Mathematics, Physics, and Business Administration at Duke University (2002); Rodrigo Bañuelos, Professor of Mathematics at Purdue University (2004); William Massey, Edwin S. Wiley Professor of Operations Research and Financial Engineering at Princeton University (2006); Juan Meza, Dean of the School of Natural Sciences at the University of California at Merced (2008); Trachette Jackson, Professor of Mathematics and head of the Jackson Cancer Modeling Group at the University of Michigan (2010); and Ricardo Cortez, Pendergraft William Larkin Duren Professor of Mathematics at Tulane University (2012).